Everyone has a favourite piece of jewellery. Whether it’s a special gift or a staple piece you love, we know you’ll want to keep it looking beautiful. Here are our top tips on how to look after your jewellery and how to clean your jewellery. Follow these tips on how to care for your jewellery during wear and how to store your jewellery properly. Always remove your jewellery when applying beauty products like make-up, perfume and hairspray. Or, to make things easy, just put your jewellery on last when getting ready. Don’t shower, soak or submerge your jewellery. Chlorine is especially damaging! Remove your jewellery when sleeping, cooking or cleaning. Rinse off any chemicals that come into contact with your jewellery. 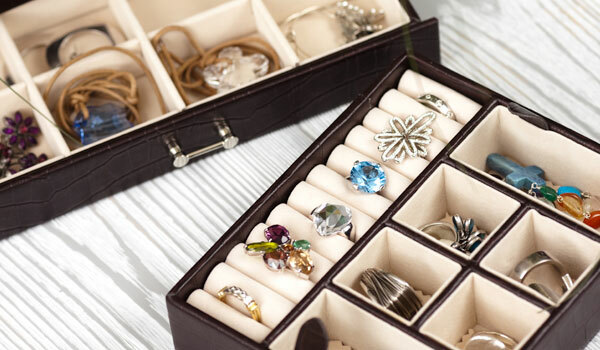 Store your jewellery pieces in separate boxes or in pieces of tissue paper so they don't scratch against each other. Make sure any chains are fastened to prevent tangling. Don’t leave your jewellery exposed to sunlight or in a damp environment. We recommend you should get your jewellery professional cleaned in-store once a year. However, regularly cleaning your jewellery at home will help keep it looking as good as new. Natural skin oils and dust in the atmosphere dull the surface of precious metals, so use the below guides to keep your jewellery dazzling. Follow our top tips on how to clean gold jewellery - which includes how to clean white gold and how to clean rose gold pieces, too. If your gold jewellery has pearls or certain types of gemstones, be careful when cleaning as they require extra special care. Mix to get a soapy solution. Using lukewarm water means you’re not subjecting your jewellery to extreme changes in temperature, which could damage it. This will loosen any dirt or grime, ready for you to gently remove. Take your jewellery out of the bowl and scrub gently with the brush, paying attention to any hard-to-reach places where dirt may be hidden. A soft-bristled brush ensures you won’t scratch the surface of your jewellery. Soap can leave a residue on your gold jewellery, so make sure you rinse thoroughly to remove all the washing-up liquid. Using a lint-free cloth ensures no fuzz or threads will be left behind. Enjoy your sparkling new jewellery! For on-the-go cleaning, our cleaning products are easy to use and will ensure your jewellery is sparkling wherever you are. As silver jewellery is prone to tarnishing, cleaning it regularly will help retain its natural shine. The good news is that wearing your silver jewellery will also help slow the tarnishing - not that an excuse is necessary! 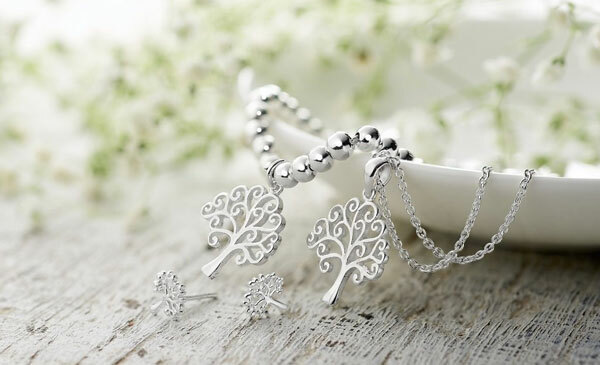 Sterling silver is an alloy of silver, made up of 92.5% pure silver and 7.5% other metals such as copper. These metals react with chemicals in the air, creating a black surface coating which is known as tarnish. Fortunately, tarnish doesn’t harm the underlying metal, and can be removed fairly easily. Although tarnishing can’t be prevented, you can help to slow this natural process by cleaning your silver jewellery regularly. You should also keep your silver jewellery away from chlorinated water, perfumes and cleaning products and protect it from damp conditions. To keep it looking as good as new, we recommend cleaning your silver jewellery with our specialised silver cleaning products. These products will not only help to remove dirt and tarnish, but will also help to protect your jewellery with their anti-tarnish formula. Rub your silver jewellery with the inner polishing cloth to remove dirt and tarnish. Pay particular attention to any detailed areas. The polishing cloth will also apply the anti-tarnish formula. Polish your jewellery with the soft outer cloth to restore the shine. The rarest of all precious metals, your platinum jewellery will develop a beautiful silver-grey patina over time. 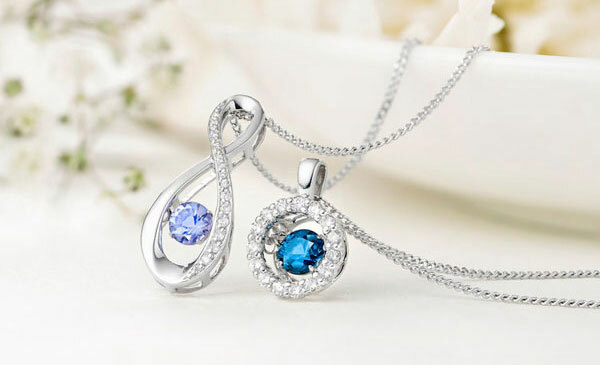 Immerse your platinum jewellery fully in the cleaner. After a few minutes, use the strainer to remove your jewellery from the pot. Using the special brush, gently scrub your platinum jewellery, paying particular attention to the setting, or places where dirt can become trapped. Rinse your jewellery well in lukewarm water. Dry and polish with a soft, lint-free cloth. Designed to improve the brilliance of your platinum jewellery, our Connoisseurs Precious Jewellery Cleaner helps reduce the appearance of fine scratches, and will help you keep your platinum jewellery sparkling. We all love the bright rainbow flashes as a diamond catches the light, but the key to keeping the sparkle you fell in love with is to keep your diamond clean. 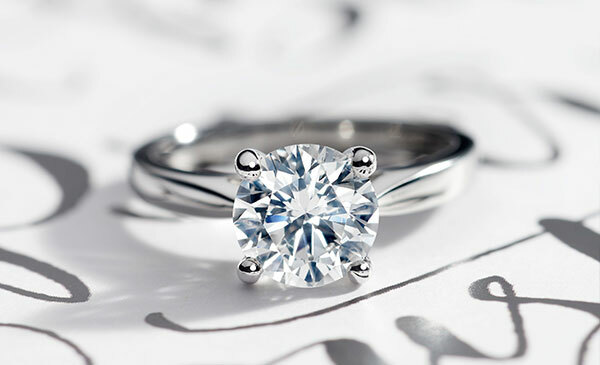 During normal wear, your diamonds will come into contact with natural skin oils and dust in the air, which will eventually leave a film on their surface and dull their sparkle. Fortunately this is very easy to remove. Our tips on how to clean diamond jewellery will ensure your diamonds look their sparkling and brilliant best every day. You will need: two bowls of lukewarm water, mild washing-up liquid, a soft-bristled toothbrush and a soft, lint-free cloth. This will loosen any oils and dirt, making it easier for you to remove. Take your jewellery out of the bowl and scrub the diamond and its setting gently with the brush, paying attention to any hard-to-reach places where dirt may be hidden. If your diamond is in a raised setting, it’s very important to clean all around it to maximise the sparkle. This is also a good time to check that your diamonds are secure. Whilst cleaning the setting, check that all the claws are intact and that there is no damage to the mount. Soap can leave a residue on your diamond, so make sure you rinse thoroughly to remove all the washing-up liquid. Using a lint-free cloth ensures no fuzz or threads will be left behind. Be very careful not to touch your diamond at this point as natural oils can be very easily transferred from your fingertips. Our specialised diamond cleaning products will ensure that your diamonds dazzle every day of the week. Perfect for restoring your diamond’s sparkle when time is short, the Diamond Dazzle Stick is perfect for cleaning on the go. Wet the tip of the brush in clean water. Twist the silver cap until the blue gel appears on the bristles. Brush the gel onto your diamonds, taking care to brush all around the stone and into the setting. Rinse your diamond thoroughly in lukewarm water. Dry and polish your jewellery with a soft, lint-free cloth. Enjoy the sparkle! Cleaning your gemstones regularly will ensure that their natural colour and lustre is enhanced, as well as giving you an opportunity to check the settings for any signs of wear or damage. Most gemstones can be cleaned in mild, soapy water, taking care not to bang or scratch the stone, and drying with a soft, lint-free cloth. Due to their delicate nature, there are some gemstones which need some special care and attention. These include: opal, pearl, turquoise, coral, amber, emerald, tanzanite and peridot. When cleaning these gemstones, you should avoid using cleaning products and simply wipe them gently with a warm, damp cloth. Ultrasonic cleaners should always be used with caution, but should be avoided altogether with these particular gemstones. For gemstones such as diamonds, rubies and sapphires our range of cleaning products are easy to use and are designed to keep your jewellery as beautiful as possible. An organic gem, pearls are soft and easily damaged, and so should be treated with care. Cleaning products are best avoided and, due to their porous nature, they shouldn’t be submerged in water for long. Did you know that wearing your pearls will actually make them look better? The natural oils from your skin will gradually coat your pearls, helping them to stay hydrated; accentuating and enhancing their natural lustre. Use a soft cloth slightly dampened with warm water to clean your pearls after wearing them. Gently rub each pearl with the cloth to remove any dirt. You should avoid pulling the pearls through the cloth as this could cause the string to stretch. Dry your pearls with a soft, lint-free cloth. Always store your pearls flat, and wrap them in a soft cloth to prevent them being scratched. Read more jewellery inspiration and advice here. Discover the history, meaning and science of your own birthstone with our Guide To Birthstone Jewellery. 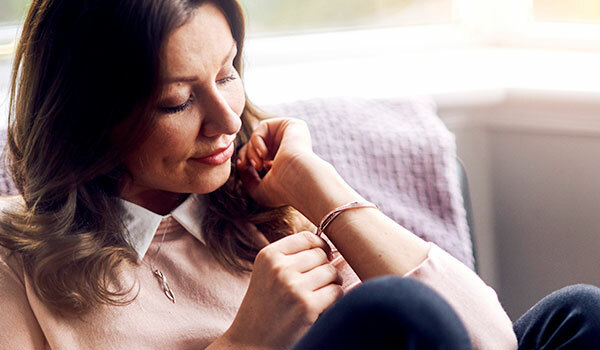 A beautiful finishing touch to your outfits, a piece of jewellery can also carry hidden meaning and symbolise your personality in a beautifully subtle way. For us, nothing can match the excitement of finding your perfect diamond. Find out how in our Diamond Buying Guide.